A pierced basket of cream porcelain with basket weave and lattice interior with pierced flat shelf with applied painted flowers and insects, with raised shaped organic handles. Plaque and inscription on base. 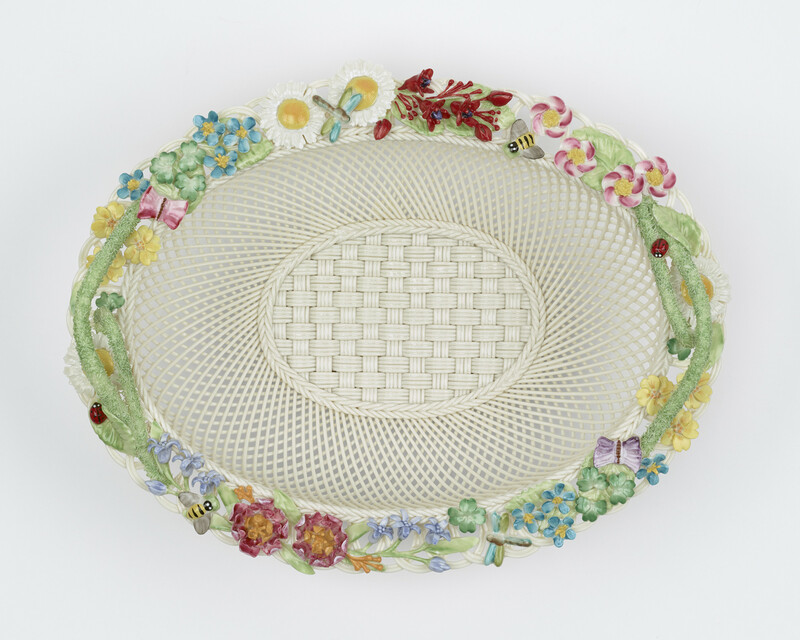 Belleek are known for their apparently simple, but technically very difficult, basketwork.